Hello friends, and welcome back to Will It Sous Vide?, the column where I make whatever I want to with my immersion circulator. Today we are taking a break from more meaty pursuits, and focusing our sous vide sights on a few friendly root vegetables. 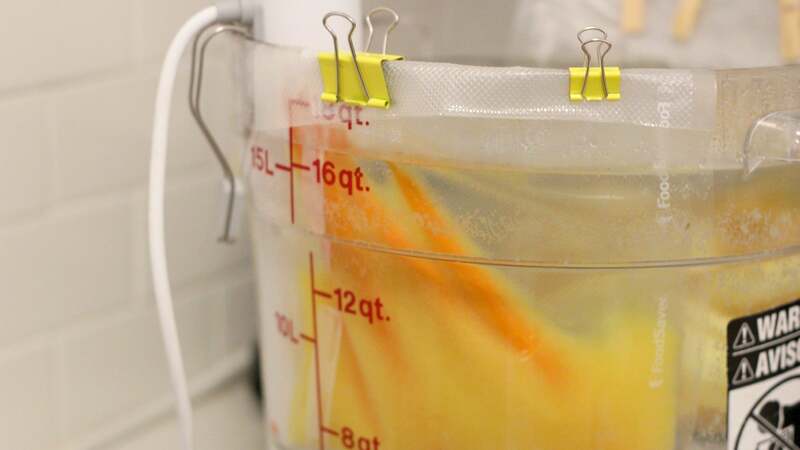 While it's extremely true that exact temperature control and a low-and-slow, extremely moist cooking environment make sous vide cooking a perfect match for both delicate seafood and big chunks of collagen rich meat, its ability to infuse food with flavour makes it a pretty dope method for cooking vegetables. Anyway, I treated the vegetables pretty simply, peeling them and tossing them with a bit of salt in their bags before pouring the juice of fruits all over them. 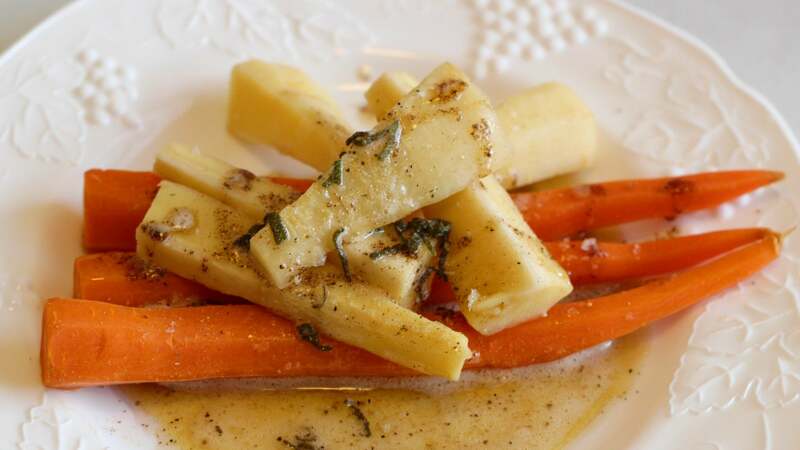 I left the carrots whole, but cut the parsnips into planks, because parsnips are much thicker on one end. 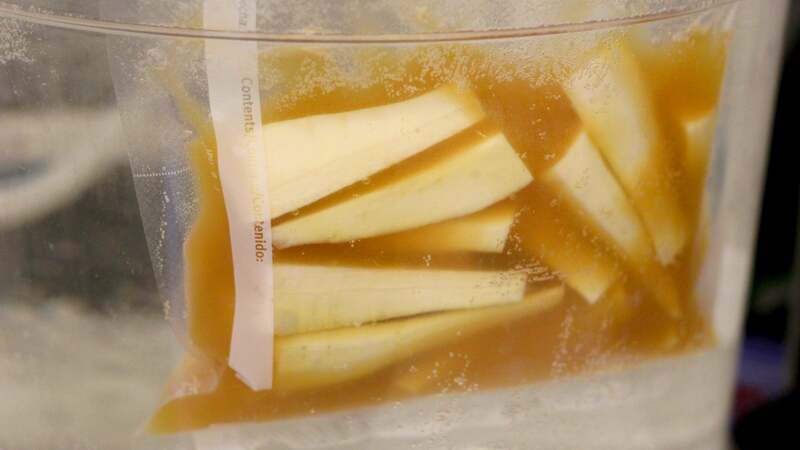 I then clipped the open end of the bags over the side of the sous vide tub - trying to vacuum seal a bag that contains juice is a bad idea - and let them hang out in a 85C bath for an hour. During that time, I took to Twitter to complain about the lack of parsnip perfume, because a freshly peeled, raw parsnip is something of a sensory wonder. After an hour, the carrots were tender crisp and the parsnips were fluffy and soft, but not mushy. I like my carrots to have a bit more give, so keep them in the tub for another half hour (or more) if you're like me. 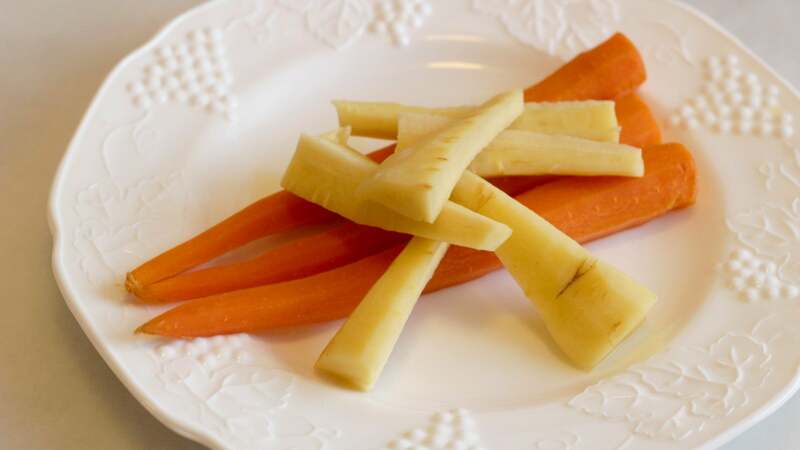 Visually, there was nothing remarkable about either root vegetable, but a quick chomp revealed that the fruit juices had indeed penetrated each one with just the right amount of flavour, without overwhelming the vegetable. 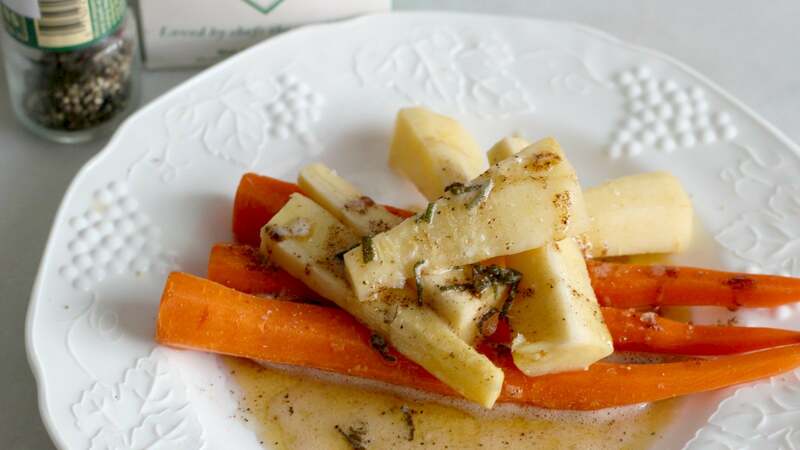 The bright, acidic orange juice complimented the sweetness of the carrot, and the apple juice matched up exceedingly well with the parsnip's autumnal, spicy flavours. Finish with Maldon and pepper, duh. They were not, however, a finished dish, so I browned some butter with a few leaves of minced sage, and drizzled it all over, finishing it up with a bit of flaky salt and some pepper. This was the most excited I had been to eat my vegetables in recent memory, and it got me thinking about all the possible juice-and-vegetable combinations. A roasted radish that has been infused with beet juice sounds pretty tasty, as do lemon infused, scalloped potatoes. As someone who spends most of her time thinking of new ways to put duck fat in her mouth, this is huge.